How to Deal with 3 Major Chinese New Year Annoyances | WWAM Bam! As China in January turns into a festive wonderland of red and gold everywhere you look, some of us don’t feel as excited as the Chinese New Year décor might suggest. The biggest holiday in China is also fraught with a number of annoyances, particularly when you have family there. I know it all too well. There have been some years when I’ve actually dreaded heading home for the holidays. You’re just about to tuck into a delicious spread of your Chinese New Year favorites (for me, my mother-in-law’s homemade tofu or that mouthwatering kimchi my aunt makes) when suddenly you hear that ominous click. Yep, it’s the sound of someone lighting up – and totally ruining all of the precious fresh air around the table. It’s unfortunate that in China, pretty much every family includes at least a handful of smokers. Mostly male. 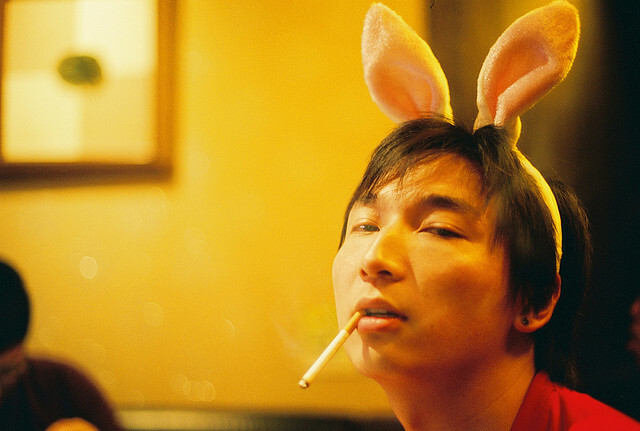 The tobacco industry in China must be thrilled that, for most Chinese men, manhood includes lighting up with your friends and family, even when you’re at the dinner table. I don’t know about you, but secondhand smoke makes me want to choke. It’s incredible that many folks here complain about the smog, but have yet to turn their attention to the pollution caused by smoking cigarettes indoors. Unfortunately, most families have a permissive attitude towards this nasty habit. Because smoking is such an integral part of socializing for many men, hosts feel reluctant to ban cigarettes at the table. Even when kids are present. If you can’t handle smoking at the table, the best thing to do is tell your relatives and stand your ground. It doesn’t necessarily mean you have to miss out on dinners and socializing. Many of my relatives respect my desire for a smoke-free dinner and do keep the cigarettes hidden until I’ve left the table. I’ve sometimes eaten earlier or later to avoid smokers who won’t put their cigarettes away. I’ve also skipped some dinners and instead met up with relatives outside of meal times. That allows us all to sit outside, munch on fruits and nuts, and avoid smoky tables. And really, isn’t meeting up with family and friends what the holiday is all about? One of the most harrowing moments I ever experienced during Chinese New Year was when I witnessed my husband’s cousin, slumped over in a chair in a drunken stupor. He had just vomited on his shirt, and even from feet away you could detect the sickly smell of alcohol all around him. The almost comatose look on his face made me wonder if he would survive the holiday. He was taken to the hospital that day and lived, thankfully. But this experience taught me a sobering lesson – the dangers of pressuring relatives to drink during the holiday. Hence, that cousin ended up in the hospital. If you’re worried about the pressure to drink – either for yourself, or a man you love – it’s possible to dodge the bottle. It also doesn’t hurt to have a ready explanation to excuse yourself from the extreme drinking games. My husband uses me, his foreign wife, as an excuse not to drink. He tells them that, since I’m a foreigner in China, he has an obligation to take care of me – which means staying sober. As silly as it sounds, this excuse has actually protected my husband’s sobriety through my Chinese New Year celebrations. Cheers to that! When will you get a girlfriend/boyfriend? When are you getting married? When are you having kids? When are you having another kid? For some people, the Chinese New Year means an endless barrage of questions we really don’t want to answer. From the people we cannot avoid — family. It’s such a big problem that some young people have actually rented significant others to take home for Chinese New Year, just to ward off the girlfriend/boyfriend issue. I even have a friend who refuses to visit family during the holidays to avoid questions! Realistically, though, if you just give them an answer they’ll probably move on to another topic. What do you struggle with during Chinese New Year? How do you manage? Jocelyn is a writer, blogger and the creator of Speaking of China, a blog about love, family and relationships in China, including AMWF love. She has been featured on the BBC and CCTV. You can find her writing in The Wall Street Journal, The Huffington Post, the anthologies "How Does One Dress to Buy Dragonfruit?" and "Unsavory Elements", and other publications. That sounds horrible! We have similar cultures here in Taiwan but I’ve found it really depends on the family. The family that I married into doesn’t drink (thank goodness) and they respect the area around the food while we are eating and go out to smoke. But I’ve seen what you wrote above many times as well and have been subjected to it. Katy, thanks for the message. You’ve been fortunate to have a family who respects those boundaries and doesn’t pressure folks on drinking! I’ve met all that, but deal with it quite differently. But just a word first, I am not part of a mixt culture couple, but the daughter of one. Thankfully for myself, and most people in my family, the majority is non smoker. I think it also helps that we are from a big city (Beijing/Shanghai), were people are much more sensitized to smoking issues. But basically, my mother has always forbidden smoking at home. Since I was a kid (25-30 years ago, when smoking was not forbidden yet in public places, before all the discussions around the nocivity of smoking), I always remembered my mother having a big “no smoking” sign on the entrance door. The tone was set since the first feet entered our house… Smokers have always been exiled to the balcony. She standed firm on this point, despite a few heated discussions. Now, people don’t even ask anymore and go out when they need/want a smoke. 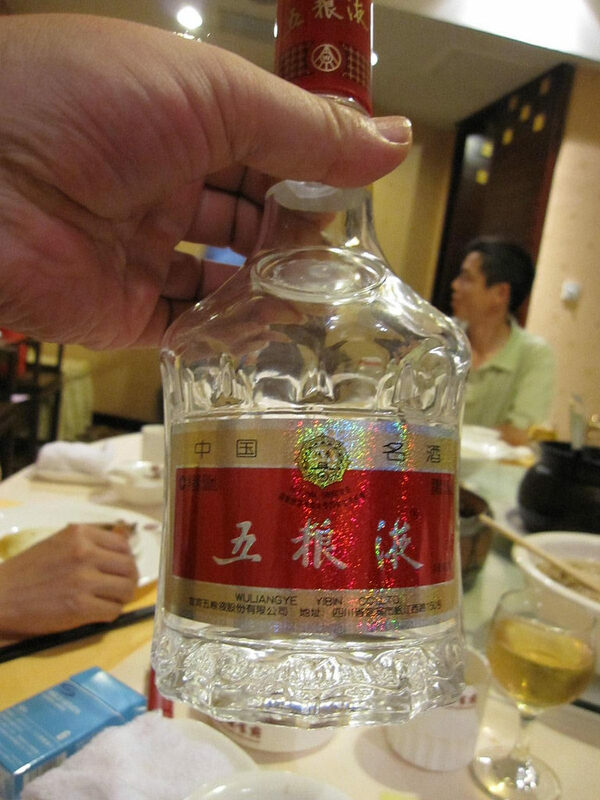 Here, we do use the excuse of having foreigners in the family, and always serve wine instead of baijiu. 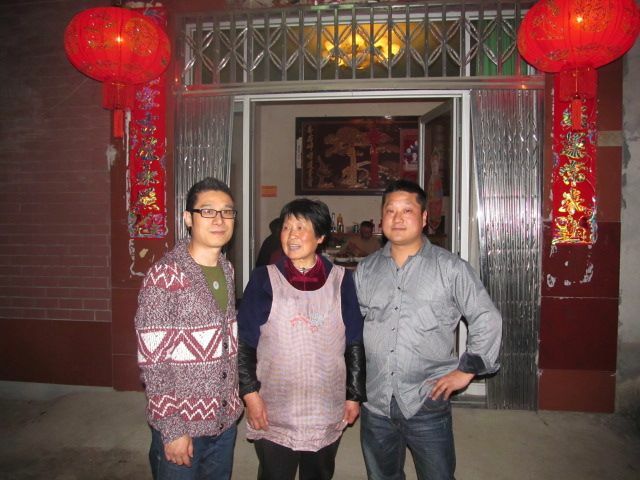 And we are not only serving wine, but teaching and helping the Chinese part of my family to discover the world of wines. Now, they all switched to wine even for their own consumption, when we are not there. Thank you for sharing, La Renarde. That is wonderful your mother strictly forbade smoking in the home — good for her! Also great that you serve wine instead and are teaching the Chinese side of the family about the pleasures of fine wines. As for the divination master, well, that’s a terrific way to get everyone off your back on that marriage question! 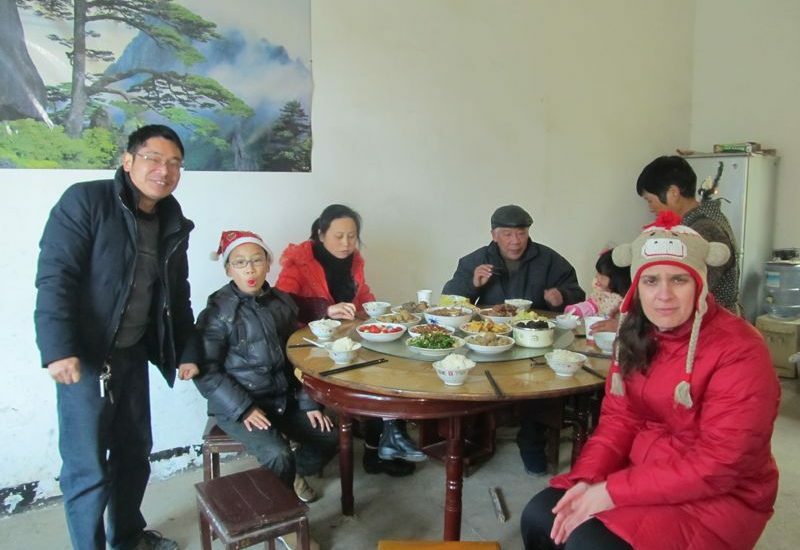 Pingback: Celebrating Chinese New Year in a Shanxi Mountain Village | WWAM Bam!